Yesterday’s Monday Pulse post featured a Fox News article on the benefit of journaling and one woman’s reach into the lives of sick children using a journal she published. You can read that post here. Today’s Tuesday Try It incorporates the same practice of journaling but with a different perspective- an eternal perspective. God’s Word. 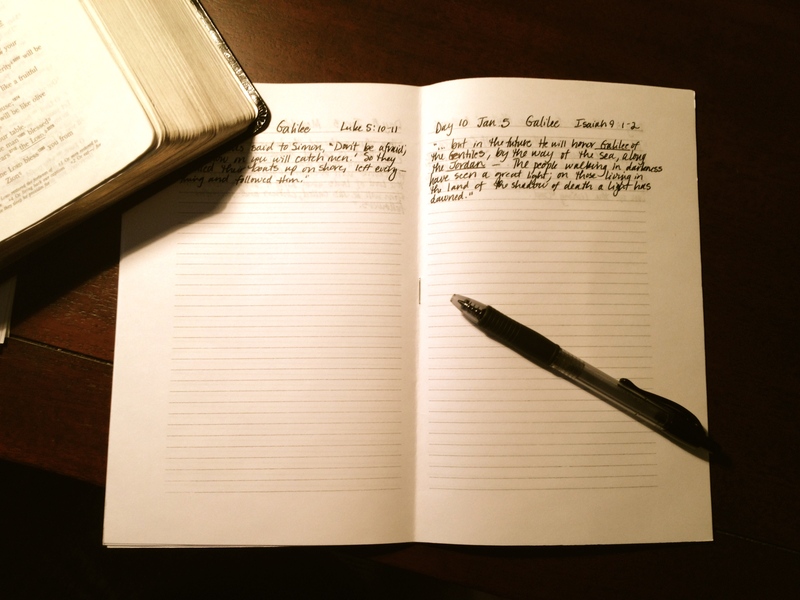 If you or someone you love is enduring a season of difficulty, why not create a small journal with hand-selected scriptures on each page that can serve as writing prompts? Using your Bible’s concordance or the internet, look up references for key words and record the truths that best address the issue at hand. I just completed a journal for my son, Jake, who leaves for Israel in a couple of weeks. Following his travel itinerary, I selected scriptures that relate to the locations he will visit each day. I want to encourage him to make a record of the revelations God gives to him while in those places. Now, while Jake is on this exciting journey, his father will remain at home with me and may want to enter into a season of anxiety. But we will have none of that! I am making a copy of the same journal for him with the same scriptures so that he can record his positive expectation of good concerning Jake’s adventure!